It will have it's world premiere at the 2010 Tribeca Film Festival this month. Already, it has received many accolades and praise. "Earth Made of Glass is a truly inspirational film…this film shows how one country is navigating uncharted waters, providing a model for ending hatred and violence, alongside a transformation into one of Africa's great success stories." 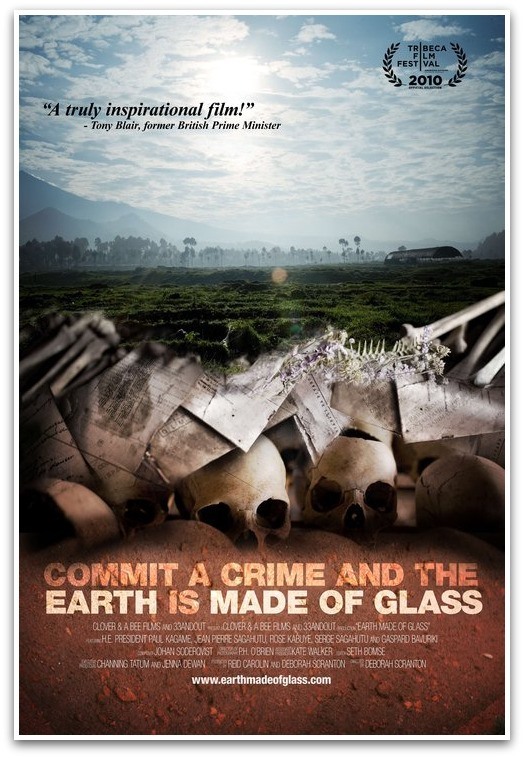 Here is the trailer for "Earth Made of Glass"
this documentary example is definitely different than the blockbuster movie posters. the marketing is far more focused on things like festival recognition and endorsements from reputable people.